EQMS and HACCP - Friends or Foes? I recently spoke to a friend who was a plant manager at a food manufacturing company, and he is all too familiar with today’s manufacturing challenges and product quality issues. We discussed how quality processes allow companies to take a more preventative approach to product recalls. He agreed that if quality and regulatory requirements are met before a product leaves the facility, organizations can be sure that they are providing safe product to their customers. The ability to identify issues before a product is distributed can also reduce additional costs associated with product recalls and the impact on a brand’s reputation and sales. We then discussed how important HACCP was to his team. Hazard Analysis and Critical Control Points (HACCP) is a process control system that identifies where hazards might occur during the food production process and puts actions into place to prevent such hazards from occurring. By monitoring and controlling each step of the process, there is less chance for contamination or other hazards to occur. He shared a story on his first experience implementing a HACCP plan at his previous facility. He noticed key areas where sanitation standards were not being met so he identified necessary corrective actions required to keep finished product safe. The process of monitoring these changes was difficult to manage and was draining the already limited resources in the plant. During a team meeting, he brought up the issue and the QA Director mentioned that they were using a quality management system – you guessed it, TrackWise – that managed workflow processes. They discussed how CAPA and complaint management were key processes that they were using in the QA area and it would easily support corrective actions associated with HACCP. Within a few days, they were able to setup the system to support his team and automate the process. The most notable difference in using the QMS software was the time savings and reduction in recording errors. The system provided an interface that was easy to use and provided drop down menus for easier navigation through the system, unlike the cryptograms needed to use their ERP system. As we finished up our call, we agreed that the true benefit of a quality system is visibility. We can now monitor potential hazards in the facility, manage outside supplier and third party manufacturers, and track compliance with regulatory requirements across the enterprise using one centralized system. 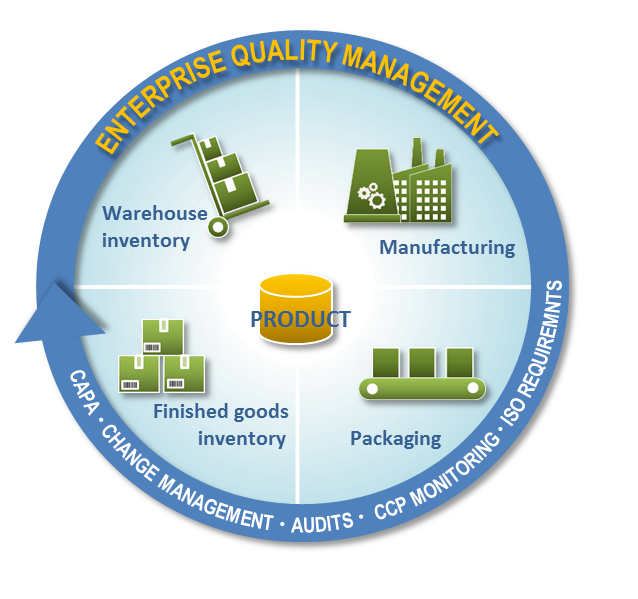 It is this visibility across the organization and its supplier network that allows organizations to tie in multiple quality controls, regulatory requirements and HACCP processes to automate and maintain the record of any change and preventative action to ensure consistency and safety of all finished products. With companies encountering spikes in unforecasted demand, new levels of regulatory scrutiny, and fewer resources than ever before, my friend and I agreed that EQMS systems are more crucial than ever to help manage the complexities of quality process and allow issues to be resolved when they are identified early on.